WFN's Ambassador program has been a great success. It has allowed anglers from across North America to connect and share their fishing stories, tips and more. This past year was especially exciting as many Ambassadors received free tackle and swag to test for product reviews. When looking back at all the content that was posted in 2012, it was very difficult to narrow it down to a list of just ten Ambassadors worth mentioning. Below are just some of the Ambassadors who posted interesting content on a regular basis that we thought are worth following. Mark's dedication to posting blogs, tips and videos is truly astonishing. With more than twice as many posts than any other Ambassador, he rivals WFN's staff for post frequency. To top it off, his posts are full of great fishing tips and insights on new tackle. He has become WFN's go-to Ambassador for homepage content. One of the most common phrases in WFN's web department is "use another Bilbrey article". Rick lives in Vancouver, British Columbia, and is surrounded by some of the best fishing destinations in the world for salmon, steelhead and sturgeon. 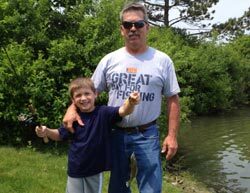 His passion for fishing and the outdoors shines through in his lengthy blog posts and numerous videos. The quality of his videos greatly improved in 2012 after getting a new camera and microphone last December as a birthday gift. He also loves to cook, and has some great fish recipes in his blog posts and videos. Although he doesn't post as frequently as some of the other Ambassadors, Rick makes up for it with great stories of his journeys and stunning photographs. 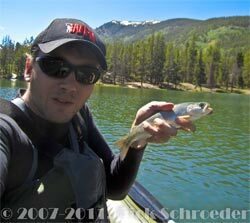 He lives in Colorado, where he enjoys exploring the high country in search of hidden trout lakes that are rarely seen by other anglers. Justin has been contributing to WFN's website since before the Ambassador program. He is an expert on Great Lakes salmon and trout fishing, and his blogs are full of great tips and advice for catching these species. 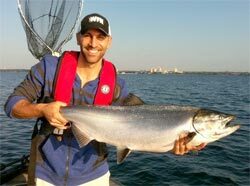 Check out the videos he shot with WFN in the spring that explain how to find and catch salmon while trolling in the Great Lakes. Peter lives on Long Island, New York, but spends most of the winter in Florida. 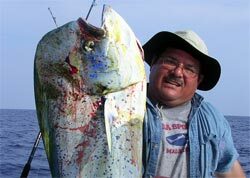 This means that his blogs have information on a wide variety of species including fluke, striped bass, bluefish, redfish, tarpon and spotted seatrout. His expertise on catching these fish is a great asset to WFN, and he has helped with product reviews for the site. 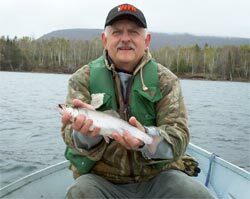 Cookster, as he is known, is a diehard brook trout angler in New Glasgow, Nova Scotia. His passion and enthusiasm for fishing can easily be seen in his writing. In addition to his numerous blogs and humorous anecdotes, he has posted a large collection of videos catching fish and offering information on fly tying, lure making and much more. Fish-on! David lives near Timmins, Ontario - an area that is full of pristine lakes and rivers that offer great fishing opportunities. 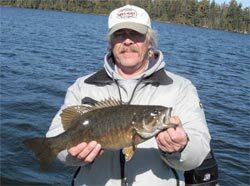 Follow his blogs to get updates on his latest fishing trips and for tips on catching bass, pike and walleye. James fishes along the Georgia coast, and posts videos and blogs about his exploits. He also builds his own fishing boats. Watch his videos to see the process. 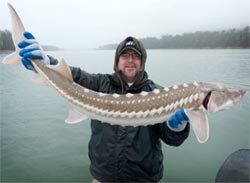 Pat started blogging for WFN in 2010, providing local content during the Chicago's Best Angler contest. He stayed on board as an Ambassador but posted infrequently. 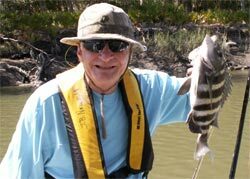 Pat is now looking to make more time for fishing, and is sharing his exploits in his blog. Keep an eye on his posts for news and updates from the Chicago area, and look for him to be spreading the word about WFN at fishing events and trade shows throughout Illinois in 2013. 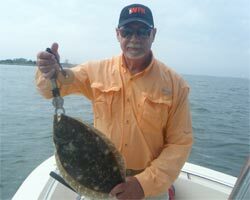 Bob provides regular fishing reports and updates from the southeast region of Florida. His posts fit perfectly in WFN's Florida Anglers Travel Guide. Also, check out his extensive photo gallery.